The following were convicted at Doncaster, Barnsley, Rotherham and Sheffield magistrates’ courts. 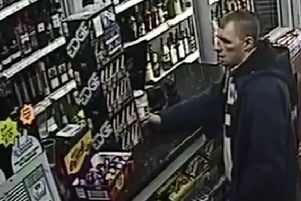 Stephen Smith: aged 26, of Broxholme Lane, Wheatley, theft, six weeks’ jail suspended for 12 months, £85 costs. Ashley Heath: 24, of no fixed address, breach of restraining order, two months’ jail. Adrian Kirk: 50, of Trafalgar Way, Carcroft, breach of restraining order, one months’ jail. Tony Mangham: 40, of Westminister Crescent, Intake, theft, two months’ jail, £113.43 compensation. Mark Roe: 39, of Queen Street, Thorne, drink-driving, £120 fine, £85 costs, 12-month driving ban. Darren Tidswell: 32, of Rainton Road, Hyde Park, theft, community order with rehabilitation activity requirement, £50 fine, £7.50 compensation, £75 costs. Carl Wynne: 32, of Callander Court, Cantley, theft, three weeks’ jail. Adam Allen: 23, of Westmorland Lane, Denaby, breach of community order, community order with curfew requirement, £75 costs. Sean Bellamy: 27, of Park Avenue, Armthorpe, breach of community order, community order with seven hours’ unpaid work supervised, £75 costs. Liam Duffy: 23, of Poplar Place, Armthorpe, breach of community order, community order with seven hours’ unpaid work supervised, £75 costs. Garry Greenwood: 32, of Albert Road, Mexborough, breach of community order, community order with rehabilitation activity requirement, £75 costs. Thomas Smith: 23, of Large Square, Stainforth, breach of community order, community order with rehabilitation activity requirement, £75 costs. Daniel Wylie: 27, of Herbert Road, Cusworth, breach of community order, £50 fine, £75 costs. Leon Hughes: 27, of Bude Road, Balby, breach of supervision requirements, two weeks’ jail. Josh Thompson: 35, of Palmer Street, Hyde Park, theft, one weeks’ jail. Dale Murphy: 25, of Old Hall Road, Bentley, assaulting a police officer, four months’ jail, £200 compensation. Barry Smith: 22, of no fixed address, breach of restraining order, 12-month conditional discharge, £40 costs. John Watson: 41, of no fixed address, breach of restraining order, three months’ jail. Abbey Hall: 38, of Brampton Lane, Armthorpe, theft, community order with alcohol treatment requirement, £85 costs. Ian Barrass: 29, of Carr House Road, Doncaster, drug-driving, £110 fine, £85 costs. Alam Harrison: 36, of Baxter Avenue, Wheatley, criminal damage, six-month conditional discharge, £102.78 compensation, £40 costs. Dawid Parzych: 33, of Stonegate Mews, Balby, drink-driving, £120 fine, £85 costs, 17-month driving ban. George Skinner: 63, of Richmond Road, Moorends, drug possession, £200 fine, £85 costs. Christopher Deer: 27, of Amersall Road, Scawthorpe, criminal damage, 12-month conditional discharge, £300 compensation. Christopher Turner: 41, of Lilac Crescent, Edlington, theft, 12-month conditional discharge. Joel Carr: 20, of The Avenue, Bentley, theft, community order with rehabilitation activity requirement, £55 fine, £14.99 compensation. Tristan Rye: 25, of Addison Road, Mexborough, assault, community order with rehabilitation activity requirement, restraining order imposed, £250 compensation. Luke Bourke: 26, of Princess Street, Woodlands, assault, community order with 80 hours’ unpaid work supervised, £100 compensation, £300 costs. Mark Birtles: 18, of Sunnyside, Edenthorpe, theft, community order with 80 hours’ unpaid work supervised, £20 compensation, £400 costs. Christopher Hansford: 46, of Somersby Avenue, Doncaster, assault, £500 compensation, £500 costs. Matthew Booth: 41, of Clarkes Croft, Wombwell, assault, community order with rehabilitation activity requirement, £85 costs. Elizabeth Cullen: 34, of New Street, Great Houghton, drunk and disorderly, £40 fine, £85 costs. Adam Guy: 28, of Joseph Street, Grimethorpe, drug-driving, £200 fine, £85 costs, 12-month driving ban. Luke Hartley: 19, of Batty Avenue, Cudworth, drink-driving, £120 fine, £85 costs, 14-month driving ban. Steven Bottom: 43, of Thornwell Grove, Cudworth, theft, community order with rehabilitation activity requirement, £774.22 compensation. Will Stockdale: 21, of Holwick Court, Town End, assault, community order with 60 hours’ unpaid work supervised, £85 costs. Nicholas White: 44, of Cope Street, Worsbrough Common, theft, 18-month conditional discharge, £85 costs. Steven Lawless: 34, of no fixed address, criminal damage, £50 fine, £50 costs. Anthony White: 34, of Morrison Avenue, Maltby, drink-driving, one months’ jail suspended for 12 months, £85 costs, three years’ driving ban. Roxanne Williams: 29, of Rother Road, Canklow, theft, £40 fine, £88 costs. Roy Hall: 55, of Browning Road, Herringthorpe, theft, 18-month conditional discharge, £40 costs. Shaun Hughes: 42, of Guilthwaite Crescent, Whiston, drink-driving, £120 fine, £85 costs. Alex Smith: 39, of Meadow Close, Dalton, drug possession, £80 fine, £40 costs. Anthony Bradley: 28, of no fixed address, assault, 12-month conditional discharge. Reece Parkin: 26, of Stoneacre Avenue, Hackenthorpe, breach of community order, community order with curfew requirement, £85 costs. Andrew Bashforth: 34, of Deerlands Close, Parson Cross, driving without insurance, six-month driving ban. John Linfitt: 30, of Donovan Road, Shirecliffe, breach of restraining order, community order with rehabilitation activity requirement, £40 costs, £50 fine.